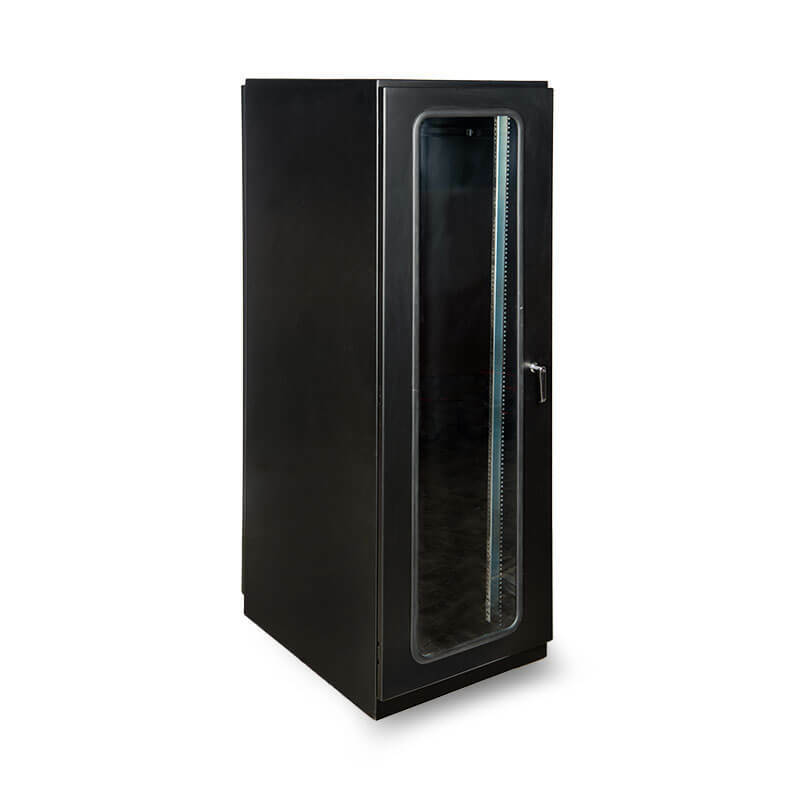 EIC’s Protector™ Series Rackmount Enclosures provide users with a sealed 19″ rack cabinet that allows installation of sensitive electronic components in harsh environments. Enclosure comes complete with rack mount rails. Front and rear locking doors, clear scratch-resistant polycarbonate window, internal shelves (slide-out or stationary) are just some of the available options. Fully integrated cooling systems can be included to keep your sensitive equipment operating in even the harshest environments. Unit is shipped as a complete package at one low price with no assembly required!